Having multiple streams of income for your blog is a smart move for any blogger to increase your bottom line. But more importantly, you are not putting all your eggs in one basket. You probably know this and it’s why you’re looking through various CPA Lead reviews online. Well, in this CPA Lead review, we’ll try to uncover any of their dirty little secrets. Read on as you may be shocked by what we found. 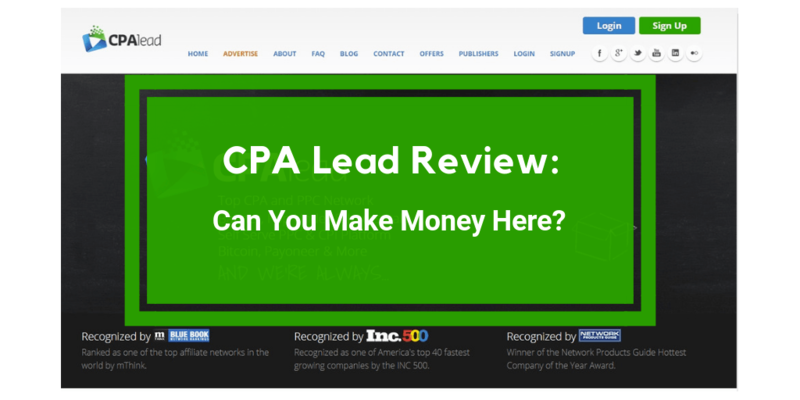 CPA Lead.com which is located in Las Vegas, NV is an affiliate network that connects advertisers and publishers. It was founded in 2006 and has around 23 employees. The current CEO is Peter Tarr. He’s been the CEO since 2011. How Does CPA Lead Work For Publishers? As with most affiliate networks, publishers (aka bloggers) place the ads of the CPALead advertisers on their site which can be banner ads, pop under, pop ups, native ads or interstitial ads (full page ads). The publishers are paid on a CPA basis (cost per action). These actions can be in the form of clicking on links, completing surveys, and even downloading apps. Rewards Program: For each $1, you earn 1,000 points. Prizes are unlocked at certain thresholds and will be shipped to you for free at the end of the month. Types of awards include T-shirts, iPads, PS4s, cars, trips, and more. CPA Marketplace: collection of tutorials, guides, scripts, landing page themes and more to help you earn more. Referral Program: You earn a 5% bonus every time someone completes an action from a member you referred. You don’t need a website or a mobile app. You can share links directly through your social media channels. Although CPA Leads has some great features, there are also other networks to consider that have similar and/or better features such as Maxbounty.com, Traffic Jam Media, iGain.com or Ezoic. How Much Can You Make with CPA Lead? CPA Lead claims that publishers typically earn around 15 cents per click. But a lot will depend on how much traffic your site gets and what country your traffic is coming from. If your site needs more traffic, you may want to consider joining Wealthy Affiliate. You’ll learn all the latest techniques on how to get free traffic from Google. You can also make money by sharing links to affiliate product niches. This is a separate page of links that offer a site visitor access to a hidden file or link in exchange for their interaction with an ad. You can also earn money when visitors install apps and complete surveys. When Do CPA Lead Publishers Get Paid? If you are really successful, you can be paid everyday as long as you have a minimum of $10 for PayPal and $25 for Payoneer payments. If you sign up for the daily option and don’t meet the minimum payouts, you’ll have less access to campaigns and your payouts will be decreased. There’s also the weekly/net-30 option where you receive your first payment within a week of the previous month provided you meet the minimum thresholds. After that, publishers are paid weekly and payments can be made via Bitcoin, PayPal, Payoneer, wire, ACH, and check. Should you get rejected for some reason, there are other networks you can consider joining such as Maxbounty.com, Traffic Jam Media, iGain.com or Ezoic. And if you are rejected due to lack of traffic to your site, consider joining Wealthy Affiliate. You’ll learn incredible strategies for getting tons of free traffic from Google. To log into your CPA Lead account, click this link here. CPA Lead claims to have excellent support. Business hours for CPA Lead is 9am to 5pm Monday to Friday. Phone: 800-447-7307 or email: support@cpalead.com. You can also contact CPA Lead through their Contact Us page. Many people start with the Better Business Bureau to determine if a company is legitimate or not. You’ll be disappointed to find out that CPA Lead is not listed with the BBB. This might make some people nervous. According to our research, there have been some complaints that publishers are not getting paid. We don’t know if this is a common occurrence, but some folks have complained about it. One of the ways publishers can earn money at CPA Lead is through CPI–click per install. This happens when a visitor clicks on an ad to install an app on their phone. Being careful about downloading apps is the most basic rule of using the Internet so if these apps are in any way risky, this is bad news for your reputation and credibility. If you are found to be in violation of the terms and conditions, your account will be deactivated immediately and you forfeit any commissions. It is then up to you to prove that you are not in violation of CPA Lead’s terms and conditions. If you cannot prove you are not in violation, your account will be terminated and all funds forfeited. If for some reason any of these complaints makes you uncomfortable, there are other networks you may want to consider such as Maxbounty.com, Traffic Jam Media, iGain.com or Ezoic. Should You Join CPA Lead? CPA Lead is a reputable company and it can certainly help you monetize your blog. 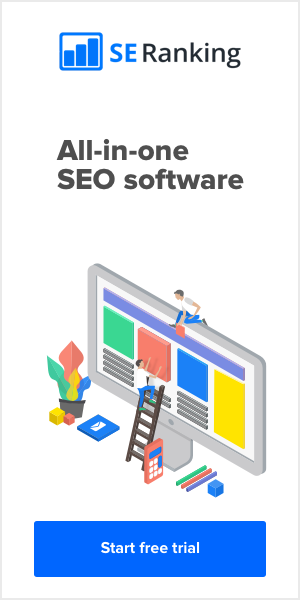 You’ll need enough traffic to your site in order to make it worthwhile because only a certain percentage of your visitors will click on ad links. So you may want to consider joining Wealthy Affiliate to show you how to get tons of FREE traffic. Furthermore, as a blogger you never want to limit yourself to one source of income. So it’s always a good idea to look at other affiliate networks to join and promote such as Maxbounty.com, Traffic Jam Media, iGain.com or Ezoic. Well, I guess that’s all for now. If you want to learn more about CPA Lead visit their FAQ page here. If you have any questions or are a member of CPA Lead, please leave a comment below.